Say more with swing tags. We can print and dispatch yours today! Get your Swing Tags organised fast. 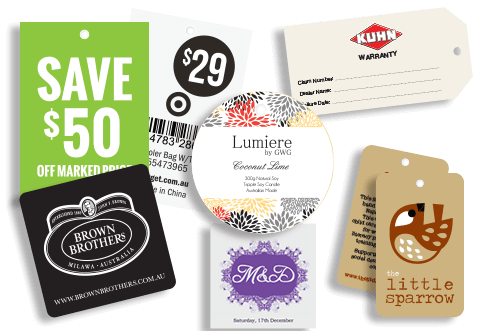 Ensure your swing tags are printed quickly and accurately in high resolution on quality stock and dispatched on time with Same Day Printing. Simply let us know your requirements in the swing tag quote form above, and we’ll be back to you within 2 business hours – usually sooner. 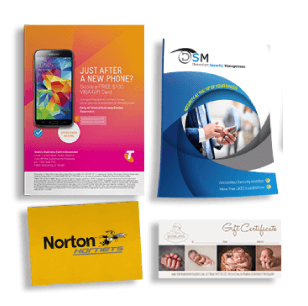 At Same Day Printing we believe we are one of the fastest if not the fastest digital printing and die-cutting specialists in Australia today. 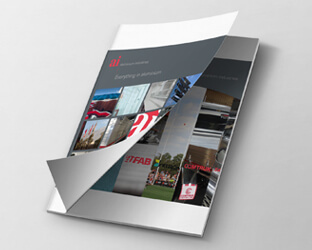 If you have artwork ready to rock and roll and sometimes even if you don’t have as we have in-house graphic designers ready to help, combined with our 24 hour turnaround die-manufacturing process for custom dies, any shape or size is generally possible for your hang tags on a 2 business day turnaround. Looking for something extra specials with extra capabilities of our in-house state of the art Horizon Die-Cutter and a custom die we can also add cut out features wherever you like. What are Swing Tags used for?